Published in Industry Updates on 05/21/2018 by Harry Lew, Chief Content Writer. The U.S. death rate for Alzheimer’s disease is creeping up, according to data from the National Center for Health Statistics. The unit of the U.S. Centers for Disease Control and Prevention revealed that the age-adjusted death rate for this debilitating neurological disease increased to 30.9 per 100,000 individual, an increase from 29.9 per 100,000 for the same period in 2016. Worsening experience for Alzheimer’s does not necessarily apply to other diseases, according to CDC data for the third quarter 2017 compared with the year-earlier period. For example: Deaths from heart disease decreased from 164.8 per 100,000 lives to 164.1 per 100,000 lives. Similarly, the cancer death rate fell from 156.2 per 100,000 lives to 152.8 per 100,000 lives. However, government researchers say the overall death rate jumped to 730 per 100,000, up from 724.4 per 100,000 in the prior period. Increasing deaths from Alzheimer’s suggests more seniors have developed the disease, which poses a challenge to financial-services firms at all levels. 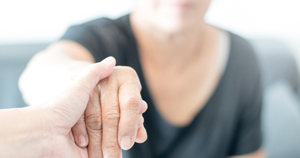 Experts suggest developing best practices for effectively working with Alzheimer’s patients will be a key challenge for companies and agents in the years ahead. Do you have a protocol in place for serving these individuals?